You’re a dreamer? You’re a doer? You’re a doer-turned-dreamer? You’re a dreamer-turned-doer? If you are some or all of that, you are quite likely an entrepreneur!! It is no secret that a start-up’s journey is action-packed—identifying the right problems to solve, validating possible solutions, getting the product-market fit right, building an awesome product—figuring out the roadmap items to say yet to and say no to, scaling growth—and the challenge is to yet do it in a focused way. Sounds familiar? 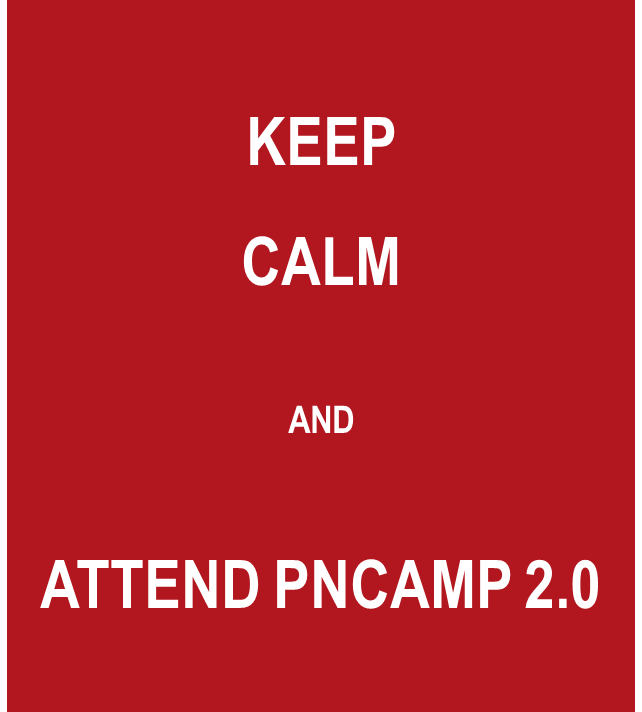 Worry not, we have one advice for you “Keep Calm and Attend PNcamp 2.0”. If you are a discovery stage start-up, we have something specially tailored for you at PNCamp 2.0. Here are 5 reasons to NOT miss PNcamp 2.0. One of the biggest challenges a start-up faces is the right problem to pick to get product fit correct. There are many viable paths and how does one find the one. Learn to use the effectuation framework to help with entrepreneurial decision making in unpredictable environments. Having gone past the initial problem-solution fit validation, it’s extremely critical to build the right product, and to build it right, to build it fast. How do you define your MVP, how do you build a compelling yet rapid to build roadmap, how do you prioritize, how do you rapidly iterate? A track on building the right product for B2B companies by Suresh Sambandam address will cover “Building the right product”. Finding right prospects, reaching them and converting them are key to getting early traction. Get insights from experts into mastering the sales funnel and process, campaign strategies, and hiring the right sales and marketing teams. Beyond insights, tips and practical advice get ready for some coaching format feedback where selected companies will do a quick pitch for 10 mins and get feedback from experts. An excellent opportunity to not just learn from practitioners but also your peers and from their experiences and challenges! An immersive learning opportunity! Join a social evening to meet and network with the experts and peers; and to make connections for life. There are few seats left and you can grab yours here.